SusieQTpies Cafe: Blog Bash Giveaway Hop Over $400 prize packages here! I follow you in GFC. I would be equally thrilled to win prize package #1 or #2. I'm heading over the ABCD Diaries next! I follow your blog with Google Friend Connect. I'd be happy to win any of the packages, but if I have to rank them I'd say #2, #3 and then #1. I'd like #2 then #1. Heading to This lil Piglet..love the name! Hey there! I follow you with GFC and I follow you on FB. I'm a GFC follower. 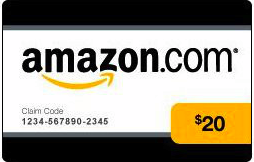 I would love to win prize package #2! Thanks for the giveaway! My prize order would be 3, 2, 1. I follow you on GFC. I came from sweet treats and good eats. I'm heading off to being tazim! In order of preference, I would love #2, #1, #3. Great giveaway! I'd like them in this order: 1-2-3!! Whoops! stephgibs at gmail dot com! I went over to Sea of Savings and entered their giveaway! I would like prize package #1, #2, then #3. I came from Family Life in LV blog! I would love to win in this order 1, 2 & 3. I will be going to The Freebie Junkie next. I am a public follower via GFC! I would love to win: #3 first then #2!!! I am in Canada so unfortunately don't qualify for #1!!! Follow you on GFC (Ashley), I'd love any of them but in order, first #2, then #1, then #3! Thanks for the chance! I'm a follower via GFC. I'll enter my name for PRize #2. 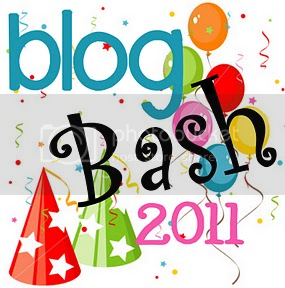 I visited and entered the blog bash giveaway at Whispered Thoughts, too. I just left Sweet Treats and good eats and I entered there! I would love to win any of them but ranked they would be 2, 3, then 1. I just came from Being Tazim and I entered there! I came here from Sweet Treat & Good Eats! 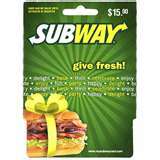 I'm your newest GFC follower and I would love pkg #1,2 or 3. Especially #1 for my daughter. Email addy is with my link below. I follow u on FB Jacey L.
I'm on my way to oh boy oh boy oh boy cause the name is so cute! I would LOVE Number 2, number 1 and lastly number 3, but they all look good. I follow you via GFC! I would like to win 2, 3, 1! I visited Family Approve (Sponsor page)! I also visited Adventures of J Man and Miller Bug! I just came from Brag All About It on the blog hop! I follow you on GFC. I'd love prize pack #2. I'd like to win prize #1 then #2 then #3. I'm doing the blog hop and headed to The Freebie Junkie! I follow on GFC as Wendy. My order preference is 2, 1, 3. I went to family approved but their giveaway is US only. I'm Canadian. I follow you throught GFC. I would like all of them but if I have to rank I would say #2, #3, #1. I like you on facebook as Jeannette M Fender. I like you on twitter as @jmanmillerbug. Just came from Sweet Treats & Good Eats where I entered their giveaway. I would be thrilled to win prize package #2. Prize preference: 2, 1, 3. I am heading to the freebie junkie! Followed your blog on GFC. Followed your blog on Facebook. Headed to the Freebie Junkie next. I'd most like prize 2. I follow. I visited Family Approve and have entered about 10 other giveaways there including Random Thoughts. I'm headed to Freebie Junkie next. gfc follower and I'm from Canada so I guess prize pack 3 is for me :) ! New GFC follower! I'd love to win #2, then #1, then #3. Great prize packs! On the Sponsor page, I've visited a lot but especially Ergo Baby! Came from Family Approve and am headed on to The Freebie Junkie! Just came from Whispered Thoughts! I would love 1, 2, and then 3! I looked a the Picture Me Cooking sponsor sight! Fun blog/site! I just hopped from Whisper Thoughts blog! I came here from MomVantage! Loving d Blog hop! :) Thanks! I would like to win package #2 then package #3! Fan of yours on facebook! I've visited kelly's lucky you from the sponsor page! I would like to win package 3 first, 2 second, and package 1 last.